When too much is just about right the HN proaudio components are engineered to match up with any daily driver or the loudest demo rides. We offer midranges in 6.5″, 8″ & even 10″ with a wide frequency response while never compromising the sensitivity. Instead of the ordinary wedge design, The HNP uses U shaped surrounds, they will have a longer stroke known as excursion / xmax. The U shape offers a tighter kick and extends the sound reproduction downwards, simply put, you get more bass. This has usually been a drawback for automotive proaudio midrange speakers, bass response was lacking. Only premium materials such as flatwound aluminum voice coils, precision pressed paper cones and lightweight spiders are used, aid in creating the higher spl and the much wanted punch compared to drivers that may seem optically similar. 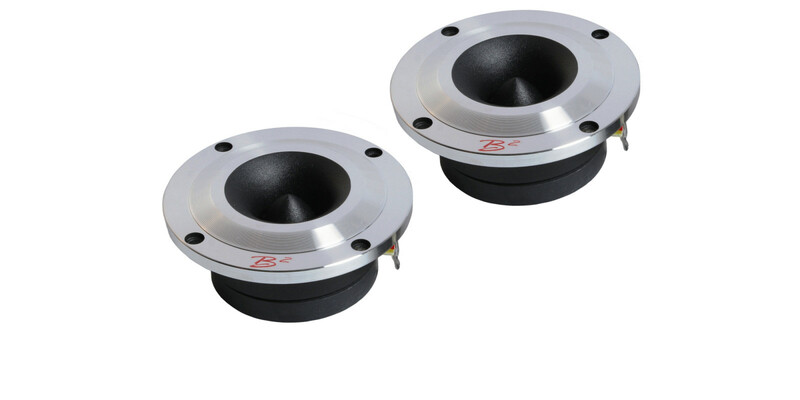 The HN tweeters have optimized titanium diaphragms coupled with premium ferrite motors. The 3 models we offer all depends on your needs. HNTT is the obvious choice to experience the first stages of higher spl output, but without the needs of too much modification. The HNT1 and HNT4 are angled towards even higher senstivity, thus they will be louder with less power. That doesn’t mean you can’t turn it up, the voice coils are not only more efficient, but winding differs and the HNT4 uses a 1.50″ voice coil. HNT4 is able to handle near twice the the power of the HNTT and HNT1. They will require slighlty more effort to install, but the payoff is huge. They will not disappoint the demanding customer who looks to #B2loud. HN proaudio are designed to be leaps ahead, not only in loudness, but also in sound quality. Voice Coil Diameter: 1" 1" 1.5" 1.5" 2" 2"
4 KHz / 12 dB min. 4.5 KHz / 12 dB min. 5 KHz / 12 dB min.